Bethlehem University Student Interns in Washington, DC! 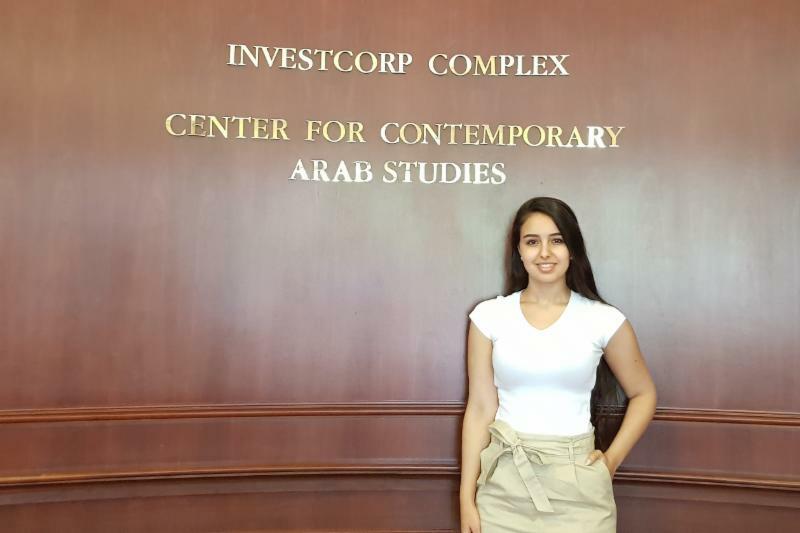 Meet Donna Khair, a rising senior at Bethlehem University, who is interning at the Center for Contemporary Arab Studies at Georgetown University in Washington, DC. Donna's major is Accounting with a minor in Business Administration. 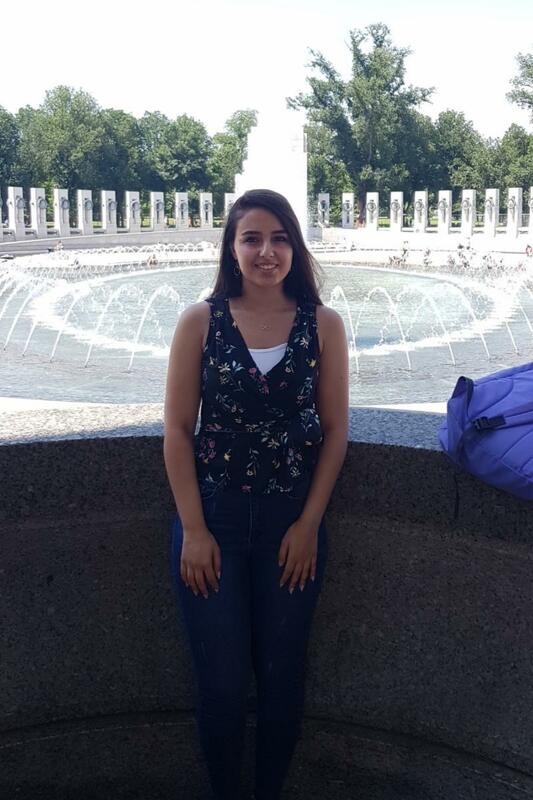 As part of the Student Ambassadors program at Bethlehem University, Donna and four other students are interning in the United States this summer. On Bethlehem University's campus, the Ambassadors guide tours for visiting groups and help tell the story of the University to the international community. The Ambassadors are also eligible for internship programs thanks to the generosity of the Sir John McGuckin Mentoring and Internship Program of the Northwestern Lieutenancy of the Equestrian Order of the Holy Sepulchre of Jerusalem. In addition to participating in the Student Ambassadors program, Donna is active on campus as a volunteer and has worked in the Advancement and Guest Relations offices at Bethlehem University. She believes strongly in giving back to the University, which has become a second home. 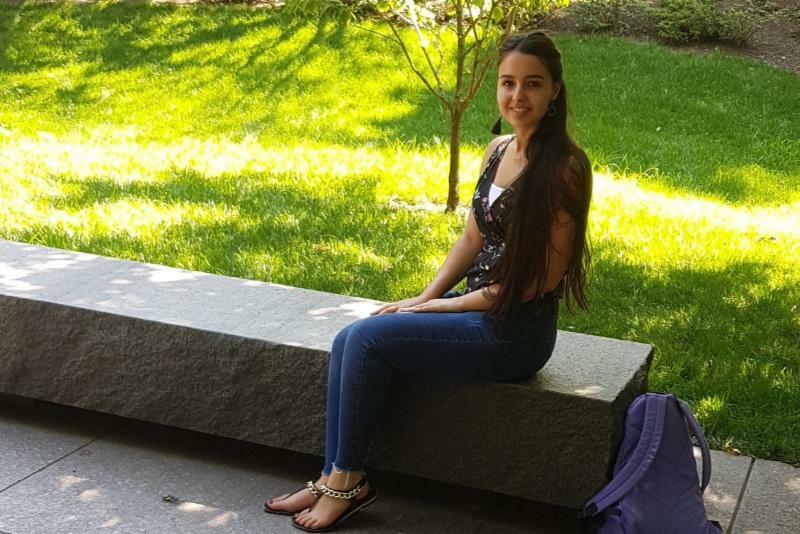 She states: "Bethlehem University has played an important role in my life; it has drastically changed my personality and way of thinking, through its offering of quality education, opportunities for growth, and enabling me to transition healthily to independence and adulthood. Most importantly the University continuously supports me and the other students by valuing us all, our individuality, opinions, and points of view." Donna speaks very highly about her experience on campus at Bethlehem University, particularly of the De La Salle Christian Brothers, describing them as mentors, second father-figures, and friends. Upon graduation, Donna plans to complete a master's degree in Accounting, undertake the CPA exam, and bring those qualifications and skills back to her homeland. On behalf of her fellow students at Bethlehem University, Donna thanks the many donors who support the University; "Without generous donors, many students would not be able to afford going to college and pursue their careers past a high-school degree. While working at the development office on campus, I noticed that while some students struggle financially, they are incredibly ambitious and hard-working. They are deeply motivated to get their college degrees despite their financial situations." She also encourages supporters of Bethlehem University to visit the campus, calling the trip an "eye-opening opportunity." 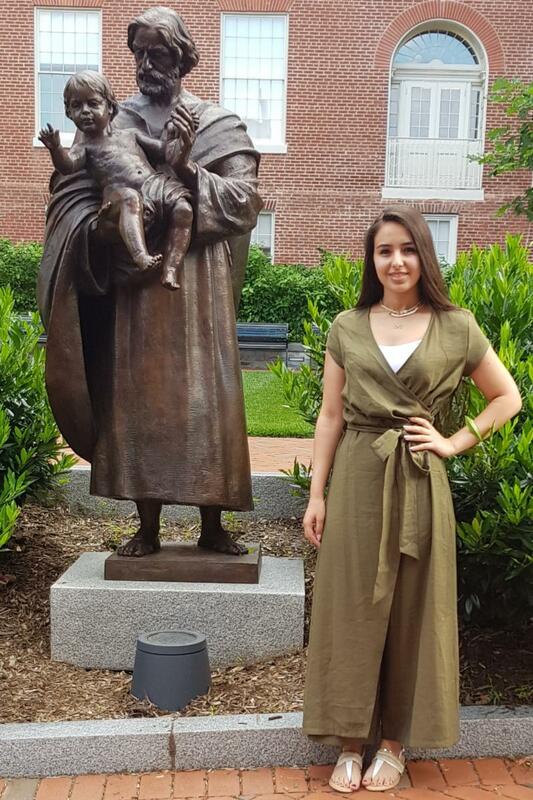 This summer at the Center for Contemporary Arab Studies at Georgetown University, Donna is assisting with data-migration and organization, providing Arabic-English translation, writing manuals, and helping with event preparation. 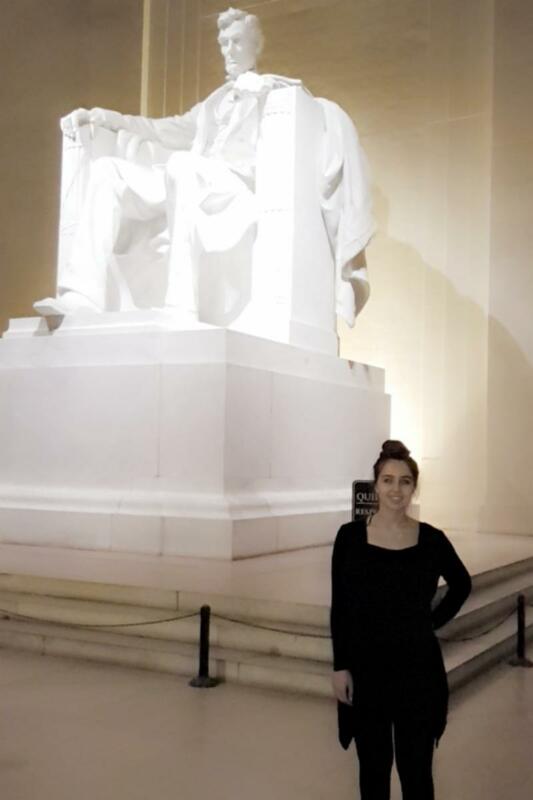 She has been enjoying her first few weeks in Washington, DC, and looks forward to improving her communication and technical skills as well as exploring the Capital and educating herself on American history and politics. Bethlehem University Foundation staff, along with Donna and other students from Bethlehem University, will be attending the Holy Land Festival on the 14th of July at the Franciscan Monastery in Washington, DC. The students will participate in a seminar at noon during which they will tell their stories and the story of Bethlehem University. Please click here for more information .